Jetboil Micromo and Minimo are both great stoves and they're 95% identical. They have exactly the same burner, regulator, shroud, control valve, canister stabilizer and baseplate attachment. Both are "real cooking" stoves - not "quick boiling without simmering" stoves. The only difference between the two is that Minimo comes with a pot with 1L of volume instead of the Micromo's pot with 0.8L of volume. Since the benefit you get from 0.2L of added pot volume is going to be greater than reduced weight of 2.6 oz for 90% of us, I'd recommend Minimo over Micromo without a doubt! Again, because they're extremely similar products, I called a draw for all the criteria except one. 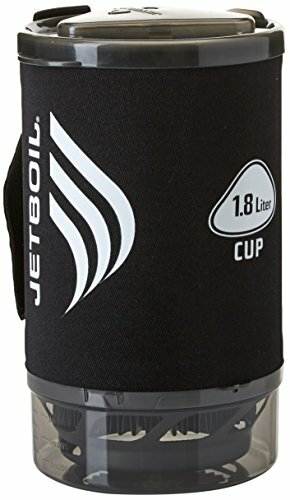 In summary, I'd recommend Jetboil Minimo | $138.95 over Jetboil Micromo | $129.95 without a doubt. Remember, having the extra 0.2L with you but not needing is ALWAYS better than needing it and not having it! 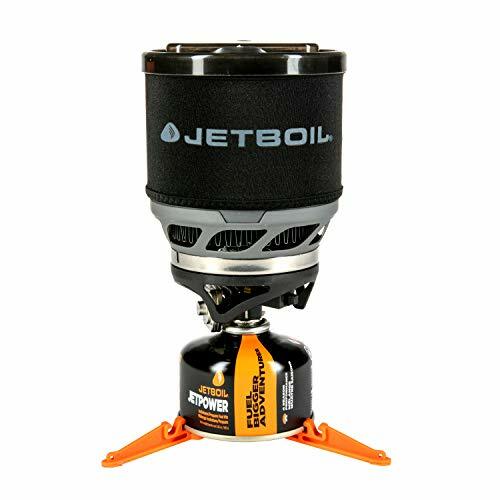 Jetboil Minimo is one of the most versatile stoves out there. It might be boiling the water slower than some of the stoves out there, it's still one of the fastest in the market. More, when the perfect conditions are removed and just a tiny bit of wind is added, it surpasses even the fastest ones due to its wider burner and FluxRing. If you'd like to read more about this, I also compared Minimo to Flash (which holds one of the fastest boiling speeds between backpacking stoves) and in windy conditions Minimo passed Flash as expected. It also has a fuel regulator, which allows simmering perfectly, and comes with a 1L of standard pot volume. Unless 1.1 oz of extra weight compared to Micromo is a deal breaker for you, I'd recommend Minimo without a doubt. Jetboil Micromo is completely identical to Minimo - except the pot size. It comes with a smaller pot at 0.8 L - which is quite small for most of us. If going 1.1 oz ligther is super important to you (which I'd highly doubt it) and you're sure you won't really need to cook for two or anything "bulky", Micromo can be an excellent stove choice for you. 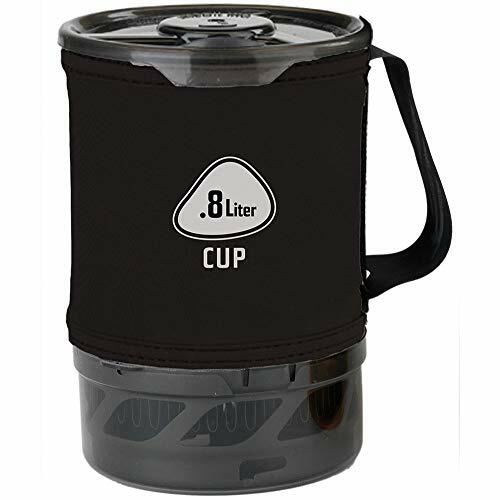 Still, you can get the famous Jetboil 1.8L spare tall cup (or the 1L version for Micromo) separately if you'd like to increase the volume of either of these stoves. They are compatible with both Minimo and Micromo. (more on this later). I contacted Jetboil Customer Service myself and asked about it one more time to make sure (pardon my grammar there guys...). Yes, they're indeed 95% IDENTICAL! If you'd like to read about their differences only, navigate to the short summaries/table/introduction section above or the compactness and versatility headings below. Minimo and Micromo are identical and great in terms of fuel efficiency. Their gas consumption is only 6 MJ/hr (AU) || 120 g/hr [1.75kW] (EU) || 6,000 BTU/hr (CA) - which means that per 100 g Jetpower can, you can boil 12 liters of water with them. FluxRing technology here is patented by Jetboil and is designed to provide efficiency through increasing the surface area by bent metal you see in the above image. As a result, less heat is lost and more of it is delivered to the cup to boil the liquid - which brings about higher efficiency. Also, both stoves work with Butane-Propane Gas mixture under vapor pressure, and both can be used with 100g/230g/450g Jetboil Jetpower Isobutane/Propane Gas Cartridges only [see the manuals in the table at the top]. 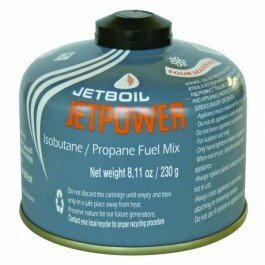 Also, Jetboil service says that they don't test their stoves with each and every canister out there - so try to use it with the Jetpower brand of fuel. But, canisters of Brunton, Gigapower, MSR, Primus and Snowpeak use the same mixture and valves and are compatible with Minimo and Micromo. If you have an MSR canister and would prefer an MSR stove with it, check out MSR Whisperlite vs Dragonfly article of mine. As you see, MSR IsoPro fuel contains Isobutane/Propane Mixture - which is compatible with Jetboil Micromo & Minimo [see the manuals in the table at the top]. It’s a high quality blend of 80% isobutane and 20% propane. It comes in 4, 8 or 16 oz. cans. I took this photo in Naturkompaniet when I was in Sweden, but you can also order it online on MSR's site or on Amazon. They also don't expire or go bad - although the valve can start to deteriorate (probably would take almost decades though)... Regardless, you can think of investing in a Jetboil CrunchIt to ensure emptying the cans completely and making them recycling bin ready. Both Minimo and Micromo stand at 2m 15sec per .5 liter (avg. over life of Jetpower can). Yes, there are faster boiling stoves out there but 2m 15sec is very good. 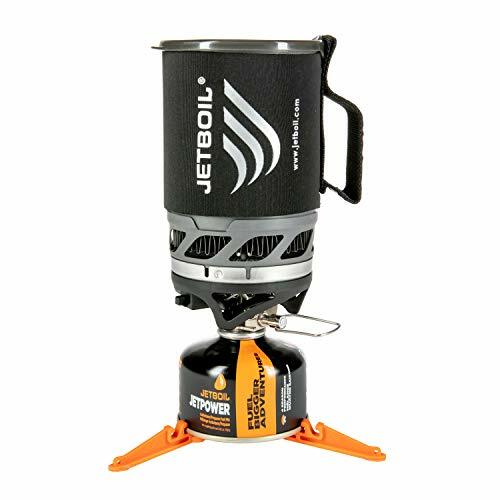 But more importantly, the fast boiling system of stoves such as Jetboil Flash goes out the window then the perfect conditions are removed and some wind/cold weather is brought to the environment. On the other hand, both Minimo and Micromo do a perfect job sticking fairly close to 2m 15sec even in nearly 10 mph of decent wind. This is why both stoves are demonstrated as 4 season stoves. ...it absolutely becomes something to take into account though. First things first: Neither of these stoves are truly lightweight nor compact. At 14.6 oz (Minimo) and 12 oz (Micromo), they're in the same weight ballpark - which had been considered light for many years. But lately, some other stoves such as BSR | $15.69 and MSR Pocket Rocket 2 | from $44.85 start becoming more and more popular in the ultralight community although they have their downsides as well which I won't go into detail under this post. They weigh as low as 10 oz (including the pot). See my Jetboil Minimo vs MSR Pocket Rocket comparison for more information. Recently, this is considered the only major disadvantage of most Jetboil stoves - not just these two. Still, this doesn't mean they aren't really for a solo backpacker but more for car camping or a large group or an expedition. They're being used by thousands of people for almost a decade and hence wouldn't really be a deal breaker! Just make sure you know how to pack your backpack the optimal way for a better weight distribution and you should do perfectly fine. Both are easily packed up into one small unit as you see above. Plus points for both stoves as you can fit the entire assembly into the pot. Both of these stoves are "precision cooking" type of stoves and NOT "boil quick and boil only water" type of stoves. ​They're both equipped with a fuel regulator and have great simmer control. If you're unaware, this means that you can adjust the fuel intensity once the water is boiled - so you can simmer. This adds to their versatility a lot. Minimo's larger pot at 1 L helps with its versatility a lot. Micromo's 0.8 L pot can be insufficient at times especially either you're cooking for two or cooking something bulkier. As mentioned earlier having the extra 0.2L with you but not needing is ALWAYS better than needing it and not having it! Highly recommended if you think you'd cook for more than two at times. For other accessories, check out Jetboil's site for Minimo and Micromo. These stoves are literally 90% identical and are great for precise cooking. For 90% of us, I'd recommend Minimo over Micromo for increased cup size. The truth is, cup size of Micromo is just too small for most of us. While it’s certainly lighter and can be more effective, for thru-hikers or those who "compete", for most of us it's obviously the less preferred choice. I hope this review was helpful for you to understand whether the Jetboil Minimo or Micromo is the best choice for your specific needs. Feel free to ask me any questions, provide feedback and I'll be happy to respond in the comment section below if it's within my knowledge.